Mexico City is one of the largest and most populated cities in the world, and has a rich historical and cultural heritage dating from the year 1325, when the Aztecs founded the Great Tenochtitlán in the territory now occupied by the city. Mexico, D F, as it is also known, is one of the most culturally diverse destinations, something that may be perceived through its streets, buildings, and entertainment centers. The most important area is the historic center, which was declared a World Heritage Site by UNESCO in 1987. Go there and contemplate the architectural richness of its more than 743 buildings. The most outstanding tourist sites include the Great Temple, the Palace of Fine Arts, the House of Tiles, the National Palace, Metropolitan Cathedral, and the famous Zócalo Capitalino, which is the main square where the most important festivities in the country are held, such as the Independence Day celebrations. Paseo de la Reforma is one of the main avenues where you can see some of the most representative monuments of Mexico, such as the Angel of Independence and the Fountain of Diana the Huntress; and places with historic value as the Chapultepec Forest that houses the castle where the battle for territory between the Mexican army and US troops was fought. 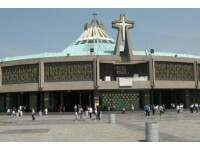 Mexico City has a vast range of shopping offer to suit all tastes and budgets. If it is about luxury, you can go to Presidente Masaryk Street in the area of Polanco, the modern Santa Fe shopping center located in the financial district of the city, or the Perisur mall, among many others. For purchasing varied items at lower prices, you can take a ride to one of the hundreds of popular markets that are all over the city; the most famous are La Lagunilla, Tepito, and Jamaica Market, the latter specializing in flowers. 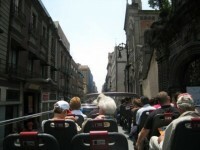 One of the main characteristics of Mexico City is its vast range of tourism and recreational offer that includes prestigious hotels, sophisticated restaurants, the country’s best nightclubs, world-class museums, and amusement parks. 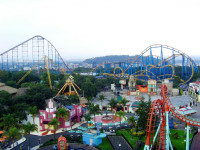 There is a number of options for all tastes; from theme parks such as Six Flags Mexico or Feria de Chapultepec, to museums like the Wax Museum and the National Museum of Anthropology, one of the most recognized around the world. You cannot miss Garibaldi, a square where you can soak up the Mexican folklore and mariachi music. Mexico City also has the largest theatrical and musical offer in the country. Some of the most popular venues where various shows are presented are the National Auditorium, Foro Sol, Palace of Sports, the Metropolitan Theater, and the Telcel Theater. The outskirts of Mexico City have natural areas ideal for a picnic, flora and fauna watching, and outdoor sports. Take a tour to La Marquesa, Desierto de los Leones Park, or Xochimilco, where the movie María Candelaria was filmed with actress Dolores del Río. Here you can navigate the channels on board the boats called trajinera, which are colorfully decorated, in another way to discover the roots of Mexico City.